Luxury pickup trucks are in a class of their own. They have to combine the full-size capability of a truck with the comfort and style of a member of the luxury class. Thankfully, the next-generation Sierra Denali has accomplished this effortlessly, with the 2019 model year earning high praise from industry insiders, including this review over at Maxim. 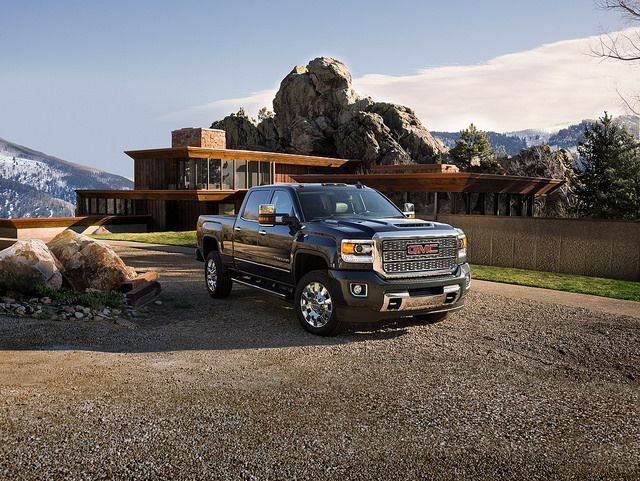 GMC’s lineup has been adopting a more aggressive style with confident angles, and the 2019 GMC Sierra Denali incorporates that design philosophy into its exterior, as well as futuristic features and capabilities such as a new transforming tailgate. Drivers can easily change the tailgate from an automatic, power up-and-down gate to a bed extender to steps. The high-tech upgrades expand into the interior, where owners get access to features such as the GMC Infotainment System on a touchscreen, an available projected head-up display, wireless charging, as well as connectivity software like Apple CarPlay™. Relaxing behind the wheel is easy, too, thanks to the standard leather interior. With chrome accents, stylish design, modern technology, and luxurious features from the inside out, the next-generation Sierra Denali is sure to wow both critics and truck enthusiasts alike. Plus, it features the 2019 GMC Sierra’s 6.2-liter V8 and 10-speed automatic, churning out a capable 420 horsepower. Find out more about the Sierra Denali when you stop by Bradshaw Chevrolet.